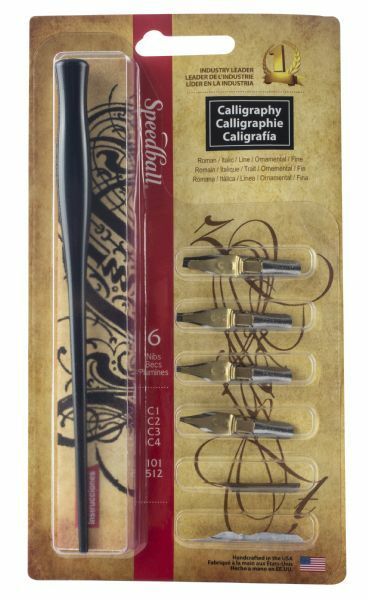 Ideal for the beginning calligrapher. * This set includes four C-style pens. * Ideal for Roman and italic alphabets. * Two pens for fine lettering and a Speedball® pen holder. 7.5" x 4.25" x 0.12"